This week the EnergyPod is in Atlanta at the Super Bowl to give the media a break throughout the week leading up to the big game. We can be at expos, conferences and seminars, learn more here. The EnergyPod has been installed at Business District in Boton, MA. 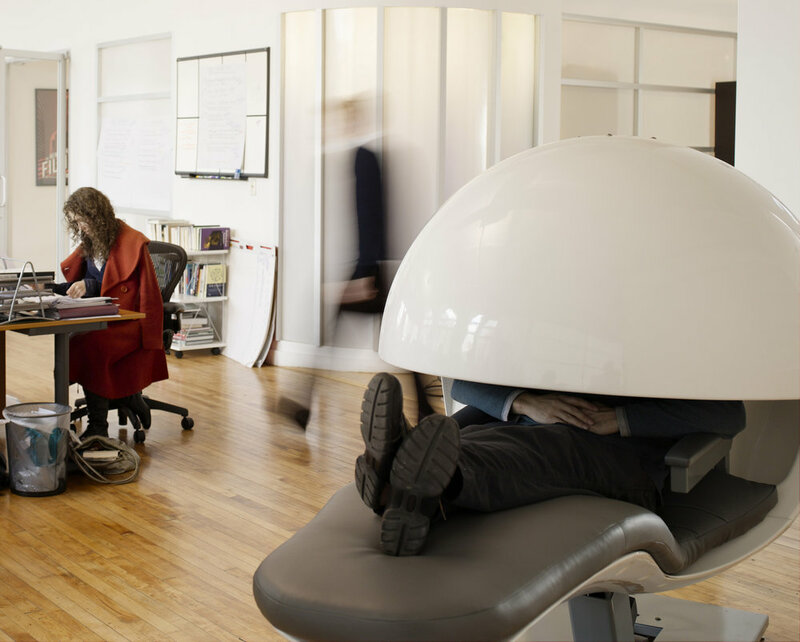 The coworking space is the first to install the nap pod for its tenants. 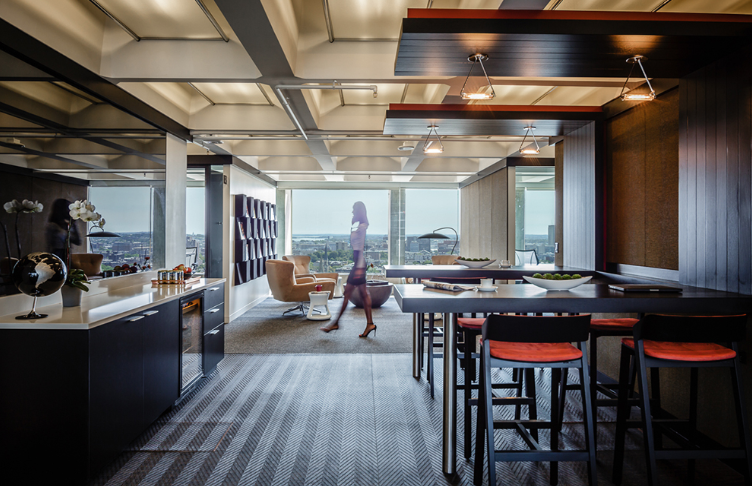 Read more about the space and amenities here. 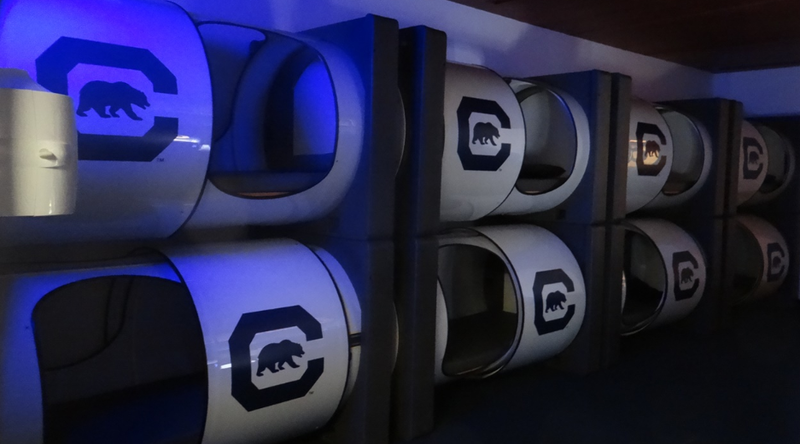 The University of California athletic department is getting a face lift with the installation of eight Podtime Tubes and five lounge chairs for its athletes. Read more about the installation and how the equipment will be used here. The EnergyPod was featured in Lexus' newest car commercial debuting their most elevated 2018 models. Putting your head down on your desk and catching a few quick zzz’s no longer serves as a wakeup call to your employer that it’s time to remove you from your job. Too exhausted to finish that brief? There’s a nap for that. 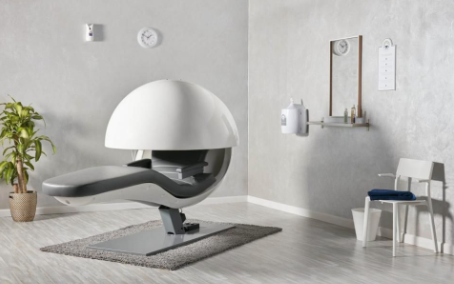 The nap pod is available for a 20-30 minute nap and completely blocks out light and sound. Science says: Sleeping at work isn't for slouches. "Taking a nap increases happiness and productivity, so some companies are happy to help"
University of Central Florida's medical school has conducted research on its EnergyPod installation with positive results. EnergyPod features on the new CBS show The Great Indoors. Wish you could nap on the job? Zappos employees benefit from taking naps in the EnergyPod. To address the growing problem of chronic fatigue in the workplace, Restworks, a company launched by the makers of MetroNaps EnergyPod workplace napping chair, has developed a product line. It includes workplace short rest installations for corporations, universities, and hospitals, and includes comprehensive sleep solution packages. The official launch of the Restworks product line took place at the Employee Healthcare & Benefits Congress held in Washington, DC.